Model C803A. 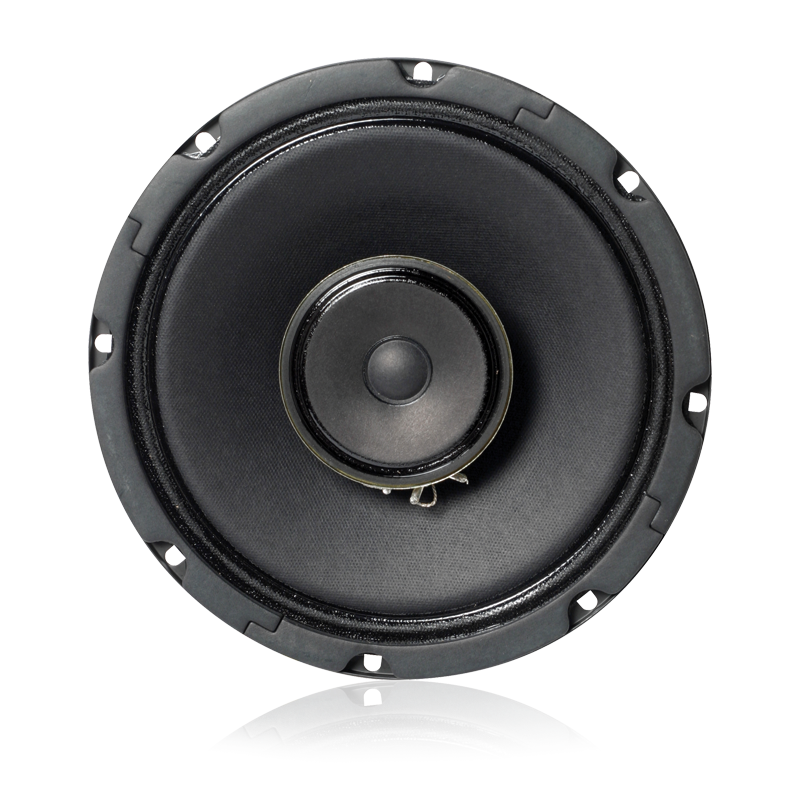 High-quality, 16-watt Model C803A utilizes a postmounted tweeter which adds strength to the assembly and provides an attractive appearance. 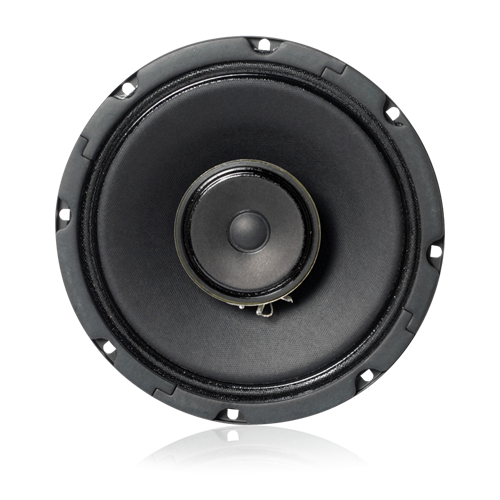 This coaxial speaker features a 70Hz - 15.5kHz, frequency response and a broad, uniform dispersion pattern of 120°. 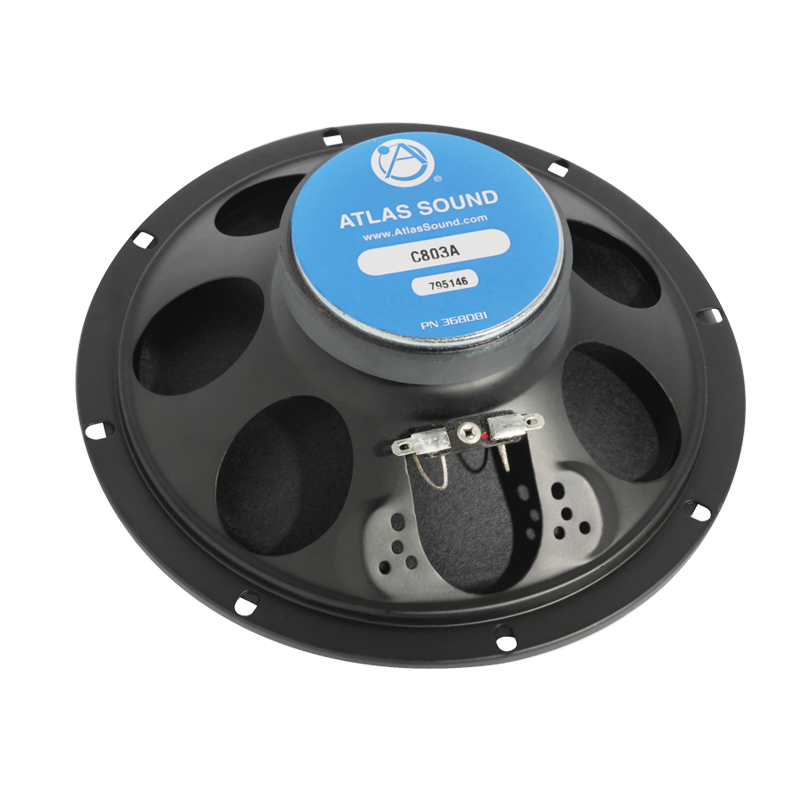 Such provisions allow for highly intelligible sound reproduction and better distribution for high-quality sound systems. The C803A combines a full-size 8" (203mm) dia. low-frequency reproducer and a 3" (76mm) high-frequency reproducer. The two sections are coupled via a built-in crossover network. The woofer has a 10 oz. (260g) ceramic magnet; the tweeter has a 2.35 oz. (67g) ceramic magnet and the unit has a peak sensitivity of 98dB (at 1 watt, 1 meter). Model C803A mounts a wide variety of AtlasIED baffles and enclosures, with the optimum sealed enclosure size being .36 cu. ft.